Those who know me very well knows how much I love Japanese cuisine and that I will go out of my way to try Japanese restaurants around Cebu. In fact, if you notice, there are a lot of articles about Japanese restaurants in this blog. How happy I was when Tokyo Tokyo Restaurant finally opened at the SM Seaside City Cebu. It was cherry blossom season in Japan when we dined at Tokyo Tokyo Restaurant. Because of that, they had a limited time promotion on a sumo meal which we ordered. 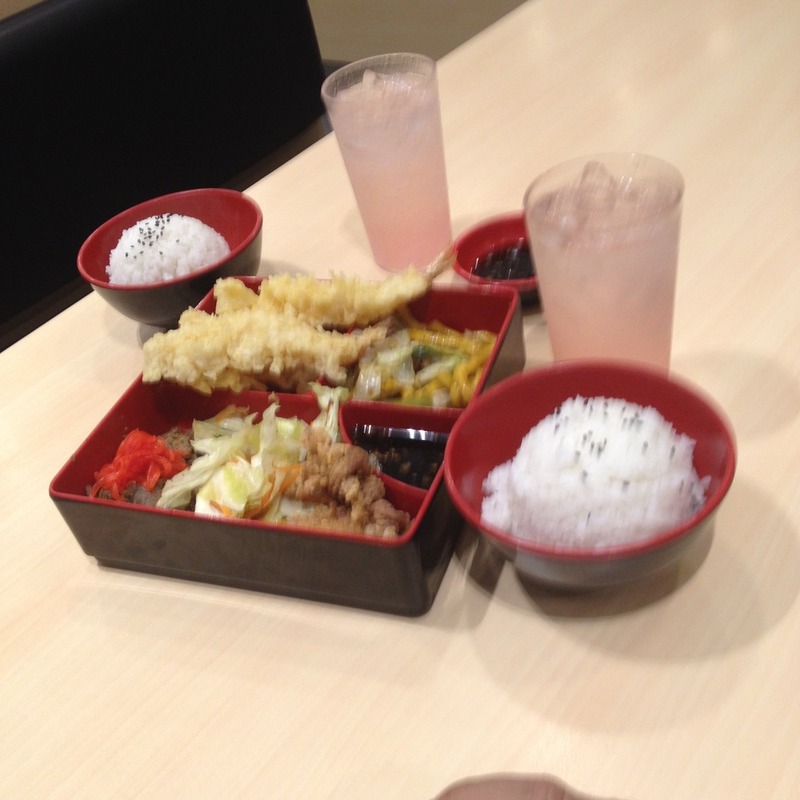 The meal served in a bento box had ebi tempura, yasai itame, beef misono, chicken karaage, and a vegetable salad. It also came with two bowls of rice and two glasses of Cherry Mist drink, which was a Sprite-like soda mixed with some cherry flavors. The beef and vegetable dishes were alright, while the others below expectations. My top bento box meal in Cebu still comes from Rai Rai Ken. Part of the promotion that Tokyo Tokyo Restaurant was running at the time was a discount on chicken katsu that came along with the sumo meal. And so we availed of it. I do have high expectations with katsu dishes. And this one was way below par. The breading was too hard. It was overcooked. And the sauce that came with it was just uninspiring. In my opinion, they should have served the sauce in a separate bowl. Not to mention that I am no big fan of sesame seeds on my entrees. 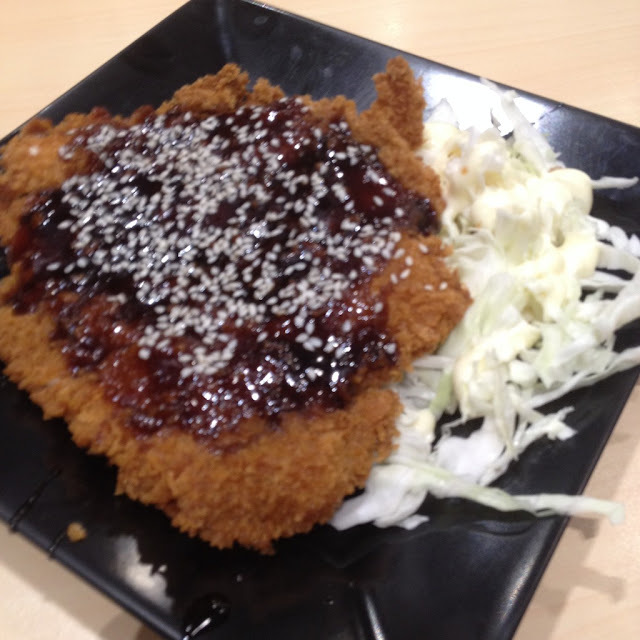 My top choice for tonkatsu dishes in Cebu is still Tonkatsu by Terazawa. 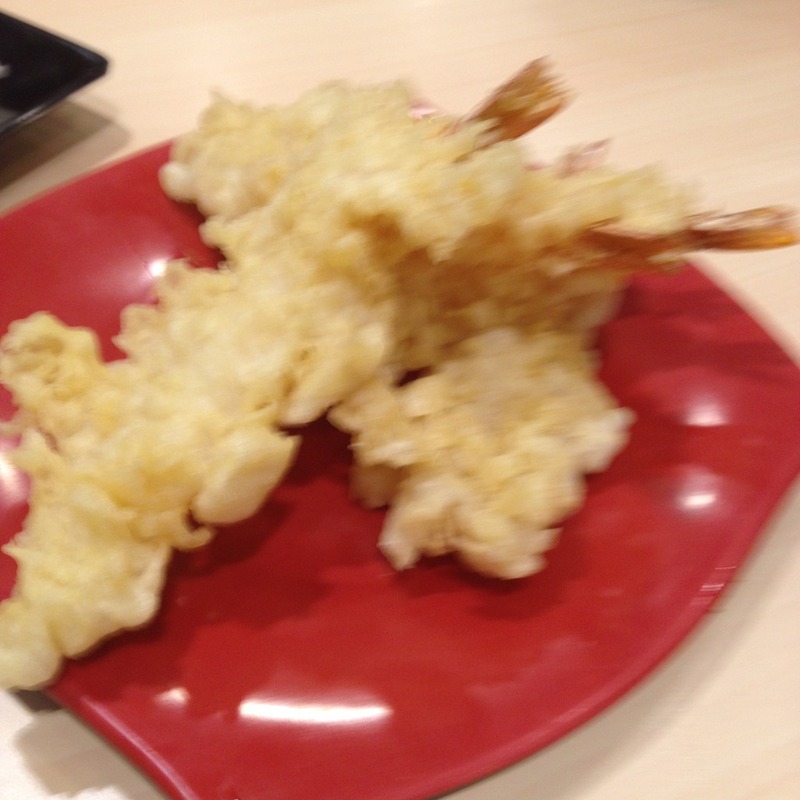 I remember the first time I tried the ebi tempura at a Tokyo Tokyo Restaurant branch in Manila that it was pretty good. It was below expectations when I tried it again in Cebu. They need to be consistent. Being one of my favorite Japanese dishes, I also have high expectations for shrimp or prawn tempura. Surprisingly my top place to get prawn or shrimp tempura in Cebu is not a Japanese restaurant. I suggest you try the ones at Choobi Choobi. The first Tokyo Tokyo Japanese Restaurant branch that opened in Cebu is located at the ground floor of SM Seaside City at the South Road Properties in Mambaling, Cebu City. To know more, visit their website or like their Facebook fan page. Have you eaten at the Tokyo Tokyo branch in Cebu City? Do you like their food? What is your favorite item on their menu? You may share them in the comments below.